Hardisty's Homewares in Santa Rosa, California, has been providing countertop appliances, kitchen supplies, and electric shavers for more than 90 years. 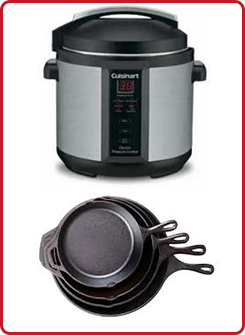 Our product line includes well-known brands, and we also offer appliance parts and repair on most of our items. 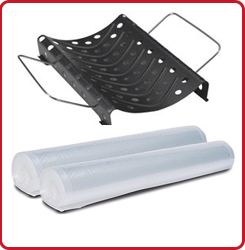 Our selection also includes canning and food preparation supplies, compost pails, and cooking aids. Items can range in price from $3.65 to $170.00. With a great selection of men's shavers, beard trimmers, nose and ear trimmers, and ladies' shavers, you are sure to find the right shaver for your particular needs. Our electric shaver brands that are in stock and ready to ship include Braun™, Remington™, and Norelco™. Our service department has been offering replacement parts and repair services for small appliances since the company's inception. Parts for blenders, coffee makers, mixers, electric shavers, and food processors are currently in stock. Whether you need a new head for your razor or specific blender parts for your KitchenAid blender, we have the right parts for you.